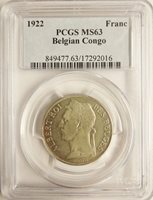 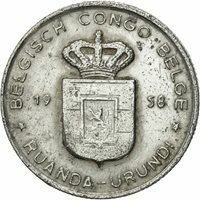 1920, Belgian Congo, Albert I. 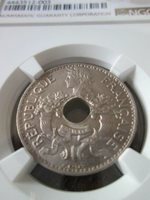 Pattern 1 Franc ESSAI Coin in Nickel. 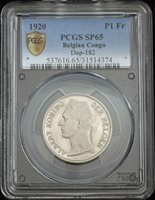 PCGS SP-65! 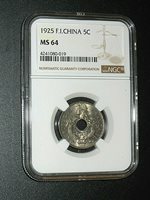 French Indo-China 1925 5 cents copper-nickel coin, KM#18, great details, nice! 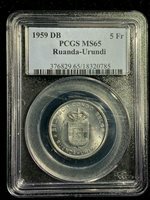 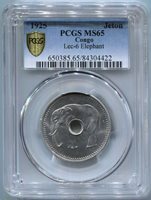 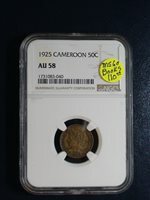 1925 Cameroon Fifty Centimes NGC AU58 50C Coin PRICED TO SELL RIGHT NOW!